Choosing a baby name is no easy feat, but one solid approach to the baby-naming debacle is to look toward loved ones. And when you have a big brood, you have no shortage of inspiration. 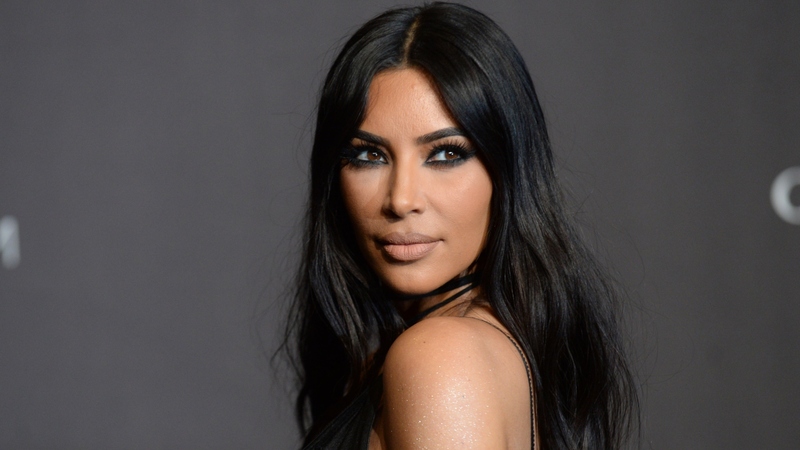 To that end, Kim Kardashian might name her fourth baby after family — but which relative Kardashian is considering might surprise you. On Monday night, the second oldest Kardashian-clan daughter revealed her thought process while visiting Jimmy Kimmel Live! with sisters Kourtney Kardashian and Khloe Kardashian. Spoiler alert? Neither sister made the namesake cut. In the sisters’ defense, Kardashian and husband Kanye West are expecting a son, via surrogate, in the next few weeks. Perhaps if it had been another daughter, Kourtney or Khloe would have been at the top of the potential baby names list. As it is, though, Kardashian admitted she’s been stuck on a different sibling’s moniker. Naturally, brother Rob apparently “approved” of the idea, but Kardashian does have a point. Although it’s not necessarily a deal-breaker if a potential name doesn’t mesh with your other children’s names, it’s definitely nice to have a consistent vibe, so why go with plain old “Rob”? Kardashian also told Kimmel she’s been researching Armenian names to honor her family heritage, so maybe she’ll land on one that works just as well. While it obviously remains to be seen what the mama-of-almost-four will choose, the truth is she and West might not even know for certain until well after the baby is born. This is apparently a family tradition because Kourtney confessed during the interview that her son Reign went a week without a name! Regardless of what Kardashian and West wind up calling their new addition, it goes without saying the kid is coming into a big, loving family. In addition to siblings North, 5, Saint, 3, and Chicago, 1, West baby number four is sliding into a built-in buddy system which includes cousins Mason, 9, Penelope, 6, and Reign, 4 (the children of Kourtney and Scott Disick); Dream Kardashian, 2 (the daughter of Rob and ex Blac Chyna); True Thompson, 11 months (the daughter of Khloe and ex Tristan Thompson); and Stormi Webster, 1 (daughter of Kylie Jenner and Travis Scott). Kardashian and West’s fourth child will, for at least a minute, be the baby of the entire Kardashian-West-Jenner family — and the expectant parents reportedly couldn’t be more thrilled about it.